After a spectacularly successful 2013, which saw Weiss being championed by the likes of Groove Armada, Loco Dice, Richie Hawtin, DJ Sneak, AFFKT & more, the hit single ‘My Sister’ premiering on B-Traits’ BBC Radio 1 show, whilst staying strong in the Beatport top ten chart for over four months, and countless gigs all over Europe, it was plain to see that Weiss is here to stay. Following this lead, 2014 has seen Weiss rise to even greater heights, with his releases inspiring support from the most respected names in the industry, including Green Velvet, Gorgon City, Tensnake, Kenny Dope, Claude VonStroke, Pete Tong, Bontan, Shadow Child, Shiba San, Claptone, Hot Since 82 and more. January's 'Guitar Man' stormed up the Beatport charts and remained an essential in clubs for months after its release; whilst Pete Tong continued to champion Weiss' remix of Green Velvet & Riva Starr's 'Robots'. Next up, 'Weiss City Vol. 3' kicked off the festival season with style, with tracks like 'I Feel Better' proving to be fan favourites at the likes of We Are FSTVL. Similarly, his remixes of MK's iconic 'Always' and Tube & Berger's soulful 'Come On Now (Set It Off)' have set the industry alight this summer, with 'My Sister' igniting Ibiza again for a second season running. 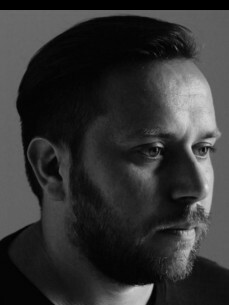 An ambassador for real House music and leading light in Toolroom's #RESET campaign, Weiss has been selected, alongside Mark Knight and Adrian Hour, to take the label into the next decade, starting with his mix on the 'Toolroom Live 01' compilation. Created by and for the lover of real House music, the mix features the best underground tracks, alongside a brand new exclusive from Weiss himself, ‘I Believe’. It's a mix that’s all about craftsmanship; it’s about the emotions that the tracks evoke; it’s about a great passion for House music.